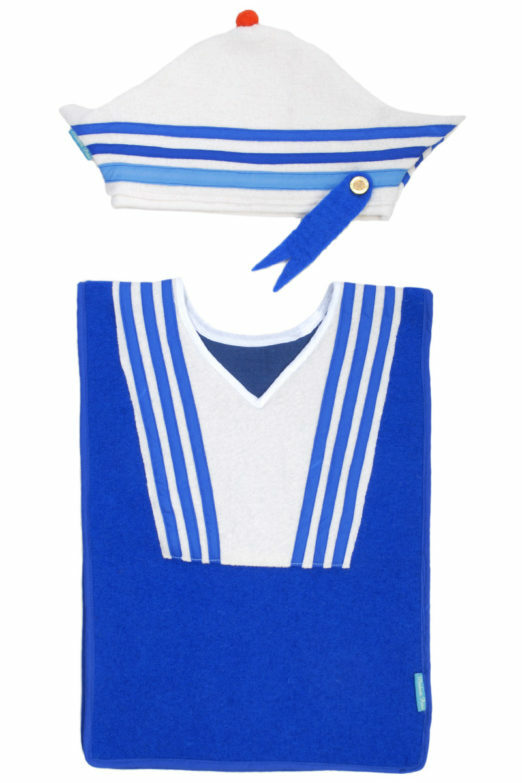 Sailor costume by Madam Petit is a feast for the eyes! This sailor costume is made of 100% boiled wool.The inner side is lined with blue cotton and is completely stitched around.The costume consists of coveralls with an opening for the head, without fastening, allowing it to be easily put on without much fuss..The neck of the sailor costume is finished with bias binding and so feels more comfortable. 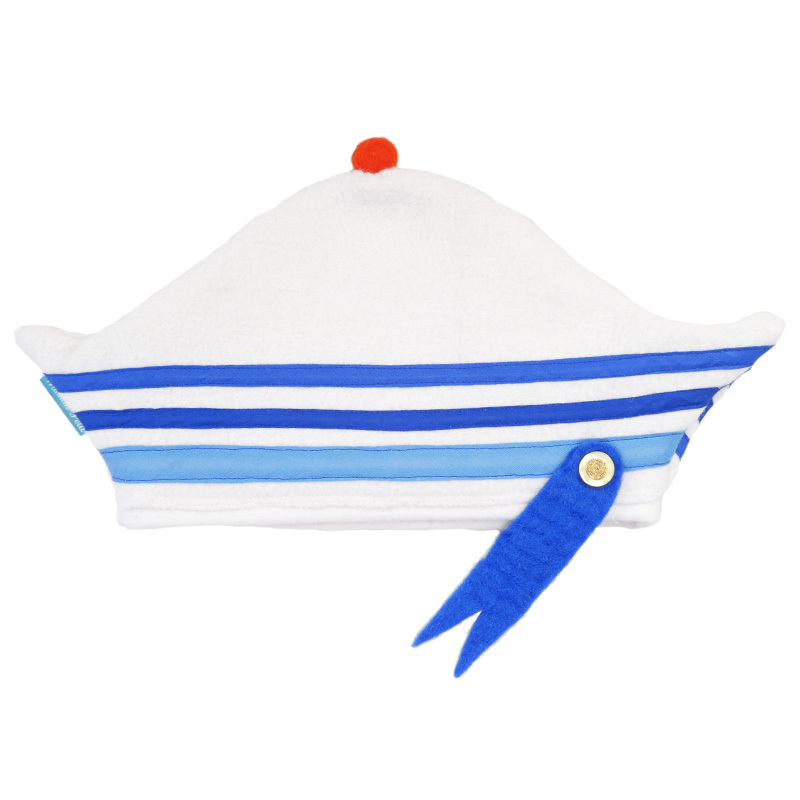 De hat is of the same 100% white boiled wool, but has a white flannel inner lining.It is also stitched all round with a small blue ribbon in front and a red scoop on top. The costume is handmade and therefore unique, there is no other like it. 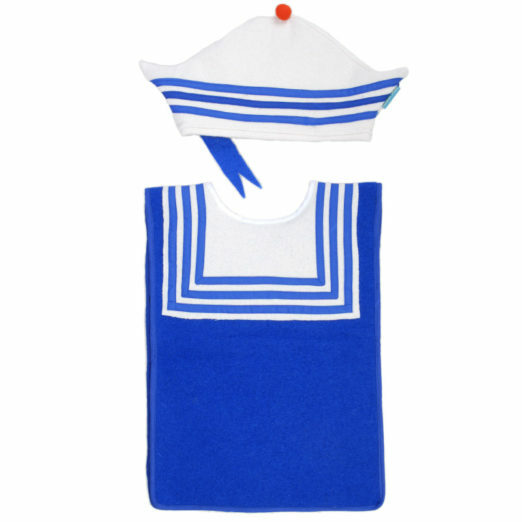 This Sailor costume is a feast for the eyes and a joy to play with, for every child!